Paul Skomsvold's flawless discography of cassette, digital and video releases as Former Selves now welcomes the CD format to the fold. His effortless composition of miniature ambient soundtracks are emotionally resonant and rich in character. Each instrument plays a vital role in the storytelling nature of Skomsvold's arrangements, and the careful deliberation of each note, swell and chord never feels forced. The beauty of each Former Selves release is that the pure honesty of his songs can't be replicated no matter how simple they may seem at first. His first CD is essentially 3 releases in one: "Healing," "Telos," and the sold-out "Perspectives" split with Kevin Greenspon, plus unreleased bonus material. 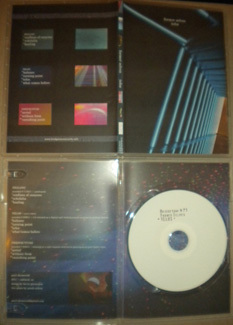 Edition of 100 stamped CDrs packaged in slimline DVD cases with full-color doublesided artwork.